I have an admission to make: I pre-ordered Final Fantasy XIII all the way back in 2010 (paid almost full price, too! ), played it for about an hour and twenty minutes that March and then proceeded to leave the game untouched for more than three years. Even still, when Final Fantasy XIII-2 came out, I went ahead and bought a shared copy with my brother. He beat it immediately, and I let the game sit on my shelf unplayed until just recently. Why did I put off playing these games for so long? A combination of things, really: I tend to avoid long games until I’m in the right mood for them, and a lot of people were super-critical of FFXIII when it first came out. It sounded like a disappointment and a time-sink, and I wasn’t in the mood for either. However, after I recently knocked out Demon’s Souls, I found myself craving more good RPG experiences. The FFXIII games were the most logical place to look, if only so that I might finally clear out my backlog of 360 and PS3 games in preparation for trading in one or both systems. I started out with XIII-2 because conventional wisdom is that it corrects all the missteps of XIII, but even though the game was a lot of fun, the story was convoluted and confusing. I felt like I was missing something, so I decided to give XIII a shot after all. Much to my surprise, I’m really enjoying it – the battles are a lot of fun once you can paradigm shift – and I’m already a good twenty hours in after just a few days. So why was everyone so hard on the game? Was it just a case of preconceived notions, or is there something genuinely missing? I do think it helps that I knew to expect a linear game, but I’m also not bringing too much baggage to the experience. I played a few JRPGs on the SNES, but I was never a super-fan. 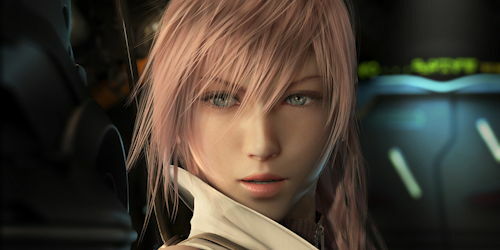 The other GS folks who played FFXIII back in the day – Eddy, Anthony and Nick – all feel very strongly about the changes made to the Final Fantasy brand for XIII because they were huge fans of the earlier games, and I think that was a big part of their disappointment. As for me, I’m enjoying FFXIII so much that I wish I hadn’t let myself be talked out of playing it when it first came out. The contrast between our experiences made me wonder if there is some core experience to an RPG that modern games can deliver without slavishly recreating the gameplay mechanics of 1997. For example, Telltale Game’s The Walking Dead completely up-ends the point-and-click adventure genre, forgoing mystery-meat puzzles for tension and moral conflicts, and the changes were so genre-defining that classic adventure games just feel outdated and dull to me now. Even still, I’d argue that The Walking Dead is identifiable as an adventure game thanks to its emphasis on characterization, storytelling and (limited) exploration. Along those lines, the Final Fantasy series has changed drastically over the years, but where Eddy and the guys feel like it isn’t a “true” Final Fantasy game, I think it delivers enough of the RPG experience to scratch my itch. Thinking about this made me wonder what kinds of experiences an RPG needs to deliver to pass muster. World exploration? Character leveling? Loot for the taking? Monster battles? There are already a handful of next-gen games announced that may deliver some or all of these characteristics, but will any of them capture that old-school RPG feeling? If so, is that feeling only about nostalgia, or is there something truly missing from modern RPGs? If you could take a revisionist approach like Telltale has with adventure games, which parts of the RPG genre do you think are crucial building blocks and which just get in the way? I certainly don’t miss turn-based battles, and I find massive open-world games exhausting, but I can understand the desire for more exploration than the beautifully appointed tunnels offered in FFXIII. Long story short, I’ve got a lot of questions about the RPG genre, and hopefully you’ve got answers. I’m also curious to know what upcoming RPGs are on your radar. Let us know in the comments! Someday I will die under a pile of books, movies and music. Until then, I'll eke out my time spent in sunny Los Angeles, California by working on the Great American Blog Post. I still think FF XIII is a true FF game. I was ardent defender of this game when it came out and telling people that most FF games are linear, which they are. The older ones do a better job of hiding it, though. The game opens up much later, but I still had fun with it every step of the way. I loved the gameplay and the music. The story was a disappointment, but I hadn’t really loved an FF story since IX, so that wasn’t a big deal for me. I’m glad you are playing it now, Jeff. I’ve been campaigning for you to play it for a few years now and I am glad you are enjoying it so much. It’s nice to get a perspective after the Internet hype has died down. For me, a small open-world that is dense is a great way to encourage exploration. Maybe set an RPG in one city, like a Midgar, and let the player roam around finding all manner of secrets. Make every building in the city enterable and hide stuff all around. For leveling, you could just scale like Skyrim or only dole out EXP after completed quests, like Mass Effect 2. It would be nice to see one game encompass all these ideas for the ultimate experience. Didn’t mean to throw you under the bus, Anthony, but I knew that you had a few disappointments with the game, too. I think one of the reasons people harped on the “linearity” so much is that the mini-map is an ever-present reminder of the tunnel-shaped maps. It’s the most obvious surface-level criticism that ignores the actual underlying problem: a general lack of surprise. The enemy encounters aren’t random, so you can usually see them coming even if you can’t avoid them. Although there are treasure chests, they feel few and far between, and it never feels like you discovered a secret when you find one; it just means you were thorough enough to go around the only corner on the map. It’s hard not to suspect that everyone finds the same things in every treasure chest. I think if they’d introduced more randomness in either or both of these elements, it would have cut down on a lot of criticisms, and – surprise, surprise! – both of these things are changed in XIII-2. The other thing that stands out is the game’s economy. I rarely find money, and none of the monsters drop it, so the shops feel useless because I can never afford what they’re selling. Even if I did have enough money to buy something, they only seem to sell weapons or items I’ve already unlocked by finding them in the world. Oh, you didn’t! Besides, it was 3 years ago! I can hardly expect you to remember my mixed feeling rants in an email chain about a game you weren’t even playing at the time! And yeah, there were some things I didn’t like, but with Final Fantasy, I always try to lean in and embrace the change. Doesn’t always work (see FF X), but being a fanboy, I have to meet them halfway, haha. Yeah, the lack of discovery was a huge minus for the game. And yes, XIII-2 fixes so many of the problems from the first game. Except for the story. No saving that. I keep going back and restarting FF XIII in the hopes that maybe I was being too hard on it the last time around, but for the life of me I can’t get into it. Many people talk about how the older FF games are linear, and I tend to agree to an extent. But the games are by no means an endless corridor with cut scenes here and there. Maybe I could talk to one of the townspeople? maybe I can play a mini-game like blitzball or a card game? Maybe I could take on an optional side-quest for an item? or go out of my way to acquire a difficult summon? All of these things do distract from linearity, but they flesh out the world much more than 13 did. Even when the game “opened up” it was just a bunch of hunting quests with no soul or motivation. (correct me if im wrong, memory is a little fuzzy). I haven’t tried XIII-2 or lightning returns, but I do hope they fixed most of the problems. I have been playing FF games for most of my life which kicked off with the Adventure/Legend series on the original Game Boy. The last one I played was the GBA version of VI earlier this year and after that I’m not sure if I want to play XIII (out of the main series I have only played 1 – X). Like @Vanilla Bear said you could go and do so much other stuff and that helps Final Fantasy to feel like a Final Fantasy game. What also doesn’t help is the idea that I have to sink 20-30 hours to get past the tutorial! I don’t get a lot of time to play games at home any more and usually do most of my gaming during my lunch break at work. This usually means that I’m either playing PC games or roms of older games. To get 20 hours into a game at home can take me a couple of months to do so I have to psych myself up and decide that I’m going to play a game which could take me 2-4 months to complete. This is why I played Phantasy Star last month because I was able to play it on my lunch breaks and got through it a lot quicker instead of a triple A game. Maybe one day I will get around to playing XII as I have heard good things about it but XI and XIV are extremely unlikely as I don’t play MMOs. OK, so, I definitely think the “20-30 hour tutorial” thing is a complete exaggeration that does the game a huge disservice. I’d say the “tutorial” period is the part where you can’t paradigm shift. Once you’re about two hours in, that changes, and the battles start becoming fun and challenging. Play the game for the battles and you’ll be fine. Focus on waiting for it to “open up” and you’ll just be frustrated. Also, I don’t think the story is as terrible as everyone makes it out to be. The fal’Cie and l’Cie stuff is definitely confusing, but the character development is decent enough that it works for me. Yeah, Jeff, one of the things I defended about the game was the character development. Hope is annoying at first. Because in an “arc”, you have to start off somewhere so you can end up elsewhere. Such a thing seems foreign to many gamers! Yeah Anthony what do you think inspired me to play it 😉 I was disapointed when the Chrono Cross one stopped and I even deliberately started playing it at the same time to avoid any potential spoilers. When I told my mate I was playing the first Phantasy Star he kept shaking his head and trying to convince me to play the fourth one instead. If I do get to play it I doubt it will be for awhile as I don’t have a 360/PS3. Once I clear out my Steam back catalogue (the deals don’t help) I might pick up a cheap PS3 so I can catch up on all the exclusives I have missed like the Uncharted series and The Last of Us.